The 1709 Blog: Murphy’s law of licensing? I have been thinking about the practical ramifications of ECJ’s decision in MPS v Murphy and FAPL v QC Leisure (see previous posts) and the impact of the over arching principle that EU competition law should ‘trump’ copyright. I am not sure the decision should have come as that much of a surprise – all Member States are part of a ‘common market’ and the principle of the free movement of people, labour, capital, goods and services is at the heart of that. The ‘Television Without Frontiers' Directive provides for this in the audio visual sphere, and, with certain riders, looks for the free movement of television programmes within the internal market. For those nor familiar with the background to this case I have put some very brief reference materials at the foot of this blog. So where do rights owners and broadcasters go from here? - In the long term it may be prudent to treat the EU as ‘one’ territory. It would seem odd to licence audio and audio visual rights for ‘Utah’ or ‘Salt Lake City’ in the USA or for just ‘Essex’ or ‘Colchester’ in the UK – but not impossible. 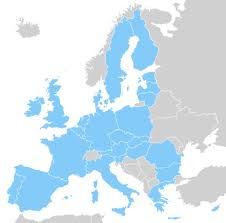 But if Europe is one market with one currency (as it almost is at the moment) then the concept of inter-EU territorial licensing on a country by country may fade. - That doesn’t mean that Coditel is necessarily bad law. But it is bad law in certain circumstances and might well be decided differently now. - If a licensor licences say a film for a German TV station then that Licensor have to accept that if anyone in Europe wishes to access that service – whether its free to air or by paying a relevant subscription fee, the they can so do from anywhere within the EU, if it is technically possible – and that will be legal. - Licensors cannot use contractual terms to restrict inter-EU access, whether such terms restrict access to services or to physical goods such as decoders. With decoders it seems that a system of exclusive licences is contrary to Article 101(1) of the Treaty of Functioning of the the European Union if the licence agreements prohibit the supply of decoder cards to television viewers who wish to watch the broadcasts within the EU but outside the Member State for which the licence is granted. These agreements are restrictive agreements contrary to 101(1). - There can only be ‘one’ price structure for Europe from a pay TV provider. So if say a customer in Spain wishes to watch Sky TV then they can – provided they pay the relevant subscription fee – and that fee must be the same for all EU consumers. - Territorial partitioning and in particular artificial price differences between the partitioned national markets are irreconcilable with the fundamental aim of the Treaty, which is completion of the internal market. - The ECJ said that “The licence agreements must not prohibit the broadcasters from effecting any cross-border provision of services that relates to the sporting events concerned, because such an agreement would enable each broadcaster to be granted absolute territorial exclusivity in the area covered by its licence, would therefore eliminate all competition between broadcasters in the field of those services and would thus partition the national markets in accordance with national borders.” But this doesn’t matter if there is only one broadcaster by satellite – more on that later! - If a EU customer wishes to watch a Greek service, whatever it contains and wherever they are in the EU, then they can provided again they pay the relevant subscription fee. The decoder is not illicit! A service cannot discriminate on price across Europe – competing services of course can offer different prices – even for the same content. - As an aside, in my opinion some of the earlier judgments were just plain wrong on whether the Nova signal containing English Premiership football was from the United Kingdom or Greece. It was a Greek service and a Greek programme – not only as a fact as it was uploaded from Greece, but it was a licensed service – licensed by the FAPL, in effect legally licensed by the Claimants themselves. - And talking of asides, don’t get too waylaid by whether or not there is a ‘copyright’ in a football match. This is all about competition law and the common market. That said, whatever we think about the definition of protected works in the UK, and even if Infopaq means that its all to do with an author’s intellectual creation now, live sport cannot be a ‘work’ or qualify for copyright protection as a work. That is the law now and even accepting that football can be like ballet, I doubt if even Infopaq can be stretched to cover live sport. That said, at one recent seminar on Murphy a very amusing quip came from the audience that surely a ‘fixed’ cricket match must have a script (hehe!). And even if logos and national anthems can be protected by copyright law, does it matter? Not really, no. - Copyright MIGHT protect the FAPL though - for the protected elements of any programme: I am not convinced Karen Murphy is safe to show the NOVA feed in public as the ECJ said that this is communicating the public and a pub screening would be an unlawful, profit-making communication to the public of copyright works it would not have been taken into account or considered by the authors of the protected works. She can own the decoder and buy the NOVA service for her private use. But enough of copyright, We need to look at the bigger picture! - I am not sure Sky have been damaged at all, except perhaps in the short term. In fact they may be quite happy! Sky have the potential to do rather well out of this judgment in the long term. Firstly they can insist that all those expats Brits in Spain and Portugal PAY for their decoders and PAY for the Sky service – and they might well end up as the sole European FAPL licensee – for more on that see below. - So what should the FAPL do? Well in the short term they may well have to re-negotiate their existing licences with Sky and other broadcasters across Europe as these agreements have been ruled anti-competitive if they have the effect of partitioning the internal market: Clauses contained in those agreements which relate to territorial exclusivity cannot now be enforced or relied upon. - Exclusive broadcast licences based on a language (German, Greek, English) remain a possibility as does the possibility of limiting a broadcast licence to non-commercial (eg private home) use only. Whether the latter is practical remains to be seen. - But laws meant to regulate a market often end up fitting the ‘law of unintended consequences’ model. Whilst some commentators see the decision as a win for the consumer, resulting in more competition which usually results in more choice and cheaper prices for consumers, I am not so sure. - As the UK is by far the most important economic driver, surely the FAPL should / could licence JUST Sky – who can then offer the (same priced) service to consumers across Europe – setting whatever price they feel consumers can bear as a pan-European monopoly. The ECJ accepted that “European Union competition law does not, in principle, preclude a right holder from granting to a sole licensee the exclusive right to broadcast protected subject-matter by satellite, during a specified period, from a single Member State of broadcast or from a number of Member States of broadcast”. And I’m not sure who else could compete with Sky who have very deep pockets for English football rights! But I have no idea what EU regulators might think of this!! - A single license would also allow the FAPL to control the broadcast of live fooball matches in England - a stated core concern as the FAPL need to protect the revenues from the paying audience for live football matches. And they need a new system and it may be one where nobody in Europe gets to see live matches from the Premiership! - It won’t stop at TV! Neelie Kroes, previously the EU Competition Commissioner and now the Commissioner for the Digital Agenda said this about music and entertainment: “Too many barriers still block the free flow of online services and entertainment across national borders. The Digital Agenda will update EU Single Market rules for the digital era. The aims are to boost the music download business, establish a single area for online payments, and further protect EU consumers in cyberspace. She told the Guardian “"If I can buy a music CD online from a company in the Netherlands and have it posted to me here in Belgium, why can't I buy a digital download from the same company? If I can watch my local team's football matches using online pay-per-view in one member state, why not in 27? This situation does not make much sense to the man on the street. To be honest, it is not a situation that makes much sense to me. And we need to fix it". - Unless a valid justification for partitioning the single market can be found, new business models will have to be adopted in Europe and many existing licensing arrangements may simply be held invalid as they be contrary to European competition law. I suspect this applies in particular to the pan-European satellite broadcasts and the internet. Is there any future in pan-European internet geo-filtering now? I suspect the answer is 'no'. - The full effect of the case will become clear when the High Court gives its judgment applying the ECJ's ruling to the facts of the case. - Of course Greece may have the final word if the EU doesn't sort out the current debt crisis ...... !!! BLACA & the BCC have a joint meeting on Tuesday 25th October looking at the communication to the public right in the light of the ECJ decision. This will be a panel discussion led by Professor Paul Torremans with Ted Shapiro (Senior Vice President, General Counsel Motion Picture Association, Brussels) and Jenine Hulsmann (Partner, Clifford Chance) contributing as panellists: VENUE: Reed Smith, The Broadgate Tower 20 Primrose Street EC2A 2RS: 17.45 signing in - 18.00-20.00 pm panel discussion. If you wish to attend you MUST register in advance by emailing emma.rumens@blplaw.com or by telephone on: 020 3400 4983. Directive 89/552/EEC - "Television Without Frontiers"
The Directive aims are to ensure the free movement of broadcasting services within the internal market and at the same time to preserve certain public interest objectives, such as cultural diversity, the right of reply, consumer protection and the protection of minors. It is also intended to promote the distribution and production of European audiovisual programmes, for example by ensuring that they are given a majority position in television channels' programme schedules. The Directive establishes the principle that Member States must ensure freedom of reception and that they may not restrict retransmission on their territory of television programmes from other Member States. They may, however, suspend retransmission of television programmes which infringe the Directive's provisions on the protection of minors. The Court emphasised that the author’s right to authorise or prohibit reproduction applies to a "work", i.e. the author’s own intellectual creation - "the expression of the intellectual creation of their author"